Experts suggest that heat loss can be reduced by as much as 50%, which is a performance that’s comparable to double glazing! Marla Custom Blinds offer a range of bespoke made-to-measure, elegant and extremely practical shutter styles in a wide range of materials and finishes including PVC (waterproof), louvred and solid panel designs to suit all types of window, including bay windows. Marla Custom Blinds have a range of bespoke shutter styles to suit all situations and budget including full height, tier on tier, cafe style, solid, tracked and shaped for those awkward windows. 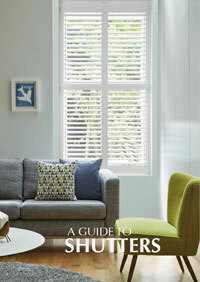 See all shutter styles here. 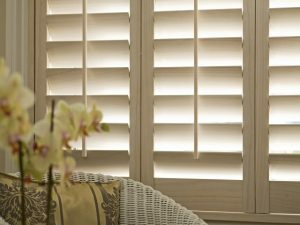 We offer a choice of 5 shutter materials including the Arundel mdf shutter, the Osborne PVC waterproof shutter and the premium Wilton shutter manufactured using a high density hardwood. See all the materials and finishes here. 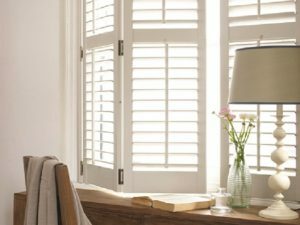 Bay window shutters can sometimes offer challenges which are not found on other windows but with our precise measuring, design and installation your shutters will fit perfectly and look stunning. 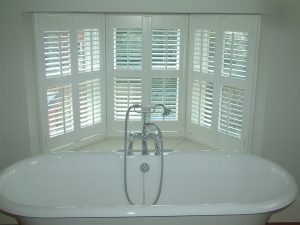 See more about Bay window shutters here. Excellent service, polite and job was completed to a high standard. Professional in all areas, satisfied with product and workmanship. The workman was very polite, he hoovered throughout the installation. The shutters are better than I hoped for.